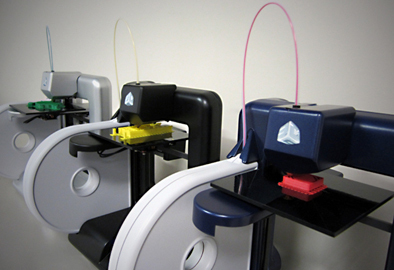 3D printing – a revolution on the horizon? What an achievement, this is my (Christopher Roberts’s) 100th post on Technology Bloggers! 3D printers have been around for around 20 years now, however it is only recently that they have really started to show their true potential, both in industrial and now even domestic settings. Thanks to the recent advancements in 3D printing, CAD designs can be constructed into physical prototypes (and in some cases now even final products) by 3D printers. 3D printers have the potential to revolutionise the way we live our lives, due the variety of possibilities they unlock. 3D printing could revolutionise architecture, product design, industry, education, and so much more! Most people have access to a normal printer, be it black and white or colour, ink jet or laser. Those sorts of printers however, only work in 2 dimensions, they can print content in the dimension that is left to right, and the dimension that is forward to back. 3D printing adds in another dimension, up and down. Therefore 3D printing means that you can print in height, length and breadth. Some critics have speculated that 3D printing will be as big, if not a bigger revolution to industry, and the way we live our lives, than the internet was. The internet has opened up so many opportunities, but it is believed that 3D printing, could possibly open up even more! For architects, it will mean that within minutes, they will be able to print on screen prototypes of buildings, so they have a tangible product to show the customer, in virtually no time at all! For retail, 3D printing could mean that shops hold no stock, and products (less complex ones at first, but branching out in the future) could be made to order, on site! No longer would shops be out of stock, so long as they have material to print on, they can make new products, there and then. For healthcare, the new printing capabilities will mean that body part replacements can be accurately measured, designed, and then printed. Yeah, printed bones! Just last month, it was publicised that the first 3D printed jaw had transplanted onto the face of a woman from the Netherlands. The jaw was matched to the shape of the patient’s original jaw, using CAD modelling, and then layers of titanium powder were melted into shape by the powerful lasers that make up the 3D printer. Different 3D printers work in different ways. Some work by building the object slowly, layer upon layer in an upwards direction, whilst others work by cutting down into a material. The titanium jaw example from above was built by building upwards creating layers upon layers of material, from titanium powder fused together by laser. What materials can be ‘printed’ on? Currently you can ‘print’ on plastics, metals, ceramics, glass, and even certain malleable foods (such as sugars and chocolate). In the future that selection of materials is likely to be expanded, and some even believe that we could grow human bone, and then 3D print replacements – that is still a way off at the moment though! Could you get a 3D printer? Many firms are looking to capitalise on the decreasing cost of 3D printers, so much so that some companies are now offering (simpler) domestic versions for home use! 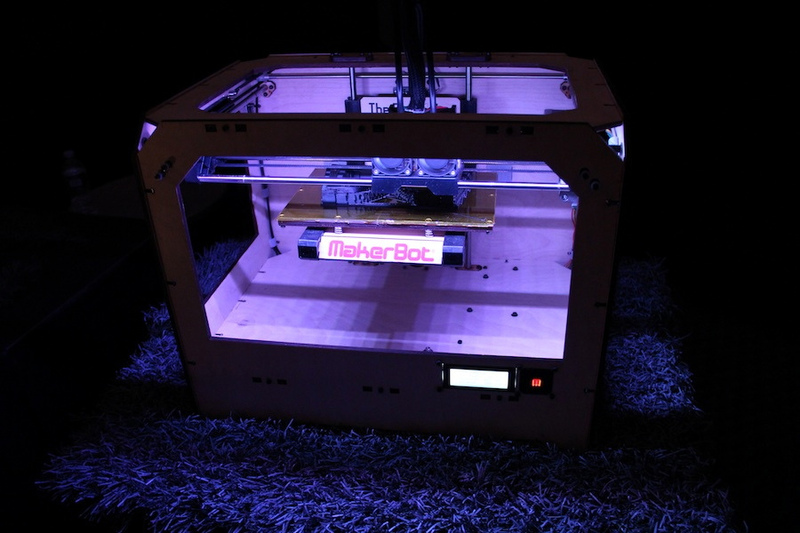 One firm selling 3D printers to the domestic market is the New York company MakerBot. Makerbot are offering a basic 3D printer, which can create plasic objects using CAD software, for $1,749 (around £1,100). Mr Pettis also said he hoped to get his printers “into the hands of the next generation because kids these days are going to have to learn digital design so they can solve the problems of tomorrow”. Another company, (called 3D systems) is offering its ‘Cube’ 3D printers at a similar price to Makerbot, marketing it as a tool to express your creativity. The company is currently working on an app that will allow users to use the Microsoft’s Kinect motion sensor to create objects, simply by moving their hands through the air! 3D printing is bringing to the global market a fast and increasingly affordable way of turning ideas into reality. No longer will the joys of flexible design be limited to those with CAD jobs and the luxury of a prototype department. There is now a big incentive for people to learn CAD techniques and how to use CAD software. Many countries are now investing in 3D printing technologies, as they can see the potential; IT jobs in the UK and abroad are likely to see big benefits from this. 3D printing is real, and it is here. So, what do you think about 3D printing, will it revolutionise the way we live our lives – even as much as the internet did? Or do you think that it is a waste of resources, and that it will never really be cost effective enough to be used on a mass scale? Congratulations on 100 posts, Christopher! Yes, well done, a fair body of work and a fine achievement. And 3D printing looks very interesting. They can print some incredible things nowadays including solar panels. Take a look at this link, a boy has built a printer from LEGO. http://inhabitat.com/incredible-lego-printer-invented-by-14-year-old-boy/ Keep up the good work. That printer from Lego looks pretty cool – I want one! Like the part about why its so important. The expansion of the variety of materials used for 3-D Printing is a very important and potentially viable addition to this technology as it opens up lot more sectors of application. Great post Christopher. Been around for 20 years now? Wow, I must be living under the rock. It’s only last year since I saw 3d Printers in action, printing some furniture designs. Lots of people seem to be saying that Edward. 3D printing is a technology which has been developed for while, but only become viable recently, therefore as domestic printers, and affordable, cost effective printers have only been around a short time, they have only been in the media spotlight for a short time too. I didn’t know 3d printers have been around for 20 years as I’ve only been hearing of them recently. I think in a few years time, once 3d printers are capable of using various types of materials together like plastics, metals, wood, silicon and so on, the possibilities might be quite limitless. We could be able to build complex devices at home by simply printing them out and then joining them together like lego blocks. So I am very much looking forward to the future of this technology. Would you like to have one of the ones I mentioned, or do you think they are a bit pricey? While I think this technology is cool, I don’t see it taking off all that much. It’s an amazing concept and I can imagine a huge number of applications. It could be great for the spare parts market where a supplier could create a replacement part on the spot. It would certainly reduce wastage in a lot of industries.